34-year-old Benjamin Elias Daum was sitting on the lot smoking and drinking from a beer can. VERO BEACH – On Thursday afternoon at approximately 1:30 p.m., several residents living on 8th Avenue called the Vero Beach Police Department to report several homeless subjects being noisy, smoking, and drinking on a vacant lot. Police observed the group while 34-year-old Benjamin Elias Daum was sitting on the lot smoking and drinking from an Ice House Edge, 16oz beer, according to the arrest affidavit. Daum told officers that the beer was his, and admitted to drinking from it, the report said. “I have been drinking all day and I am drunk,” Daum told the officers. 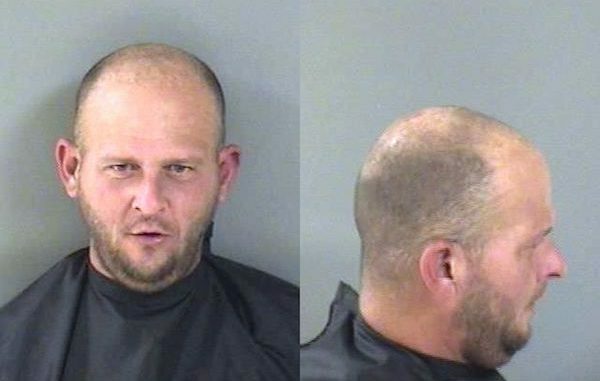 The group quieted down and Daum was arrested for an open container in the Vero Beach city limits. On Friday, a judge sentenced Daum to 20 days in the Indian River County Jail. According to jail records, Daum has been booked 44 times in Indian River County.